Without practical experience, no one can acquire complete knowledge. Value of theoretical knowledge is insignificant, if practical experience is not added. It is more realized in the study of Business where practical experience plays an important role. Internship means receiving practical experience through attending particular work physically. Practically internship means a way through which an internee, can gather experience about the related subjects and be able to apply his/her theoretical experience in the field of real life action. Practical training is necessary to achieve complete knowledge about something. Internship program is actually a form of practical training. As a student of BBA, internship is an academic requirement of the Department. After observing systematically, I have prepared this report on the basis of my findings and observation related to the topic. The report is being submitted to fulfil the partial requirement of my BBA program. The program, conducted by the University of Dhaka, is the systematic process for gathering, recording and analyzing of data about the subject that a student goes to learn on the program. The aim of this Internship program is to relate theoretical knowledge with the field of practical knowledge. We live in a world of severe competition where practical knowledge along with the theoretical knowledge creates a bridge to grow further and becoming globalized. As part of practical orientation program, I was attached to Investment Corporation of Bangladesh for 2 months on complementation of the practical orientation program. It supported me a lot to complete this report successfully. For my internship I was sent to the Investment Corporation of Bangladesh (ICB), under the supervision of Imrana Yasmin, Associate Professor, Department of Marketing, University of Dhaka. I have chosen the topic “Branding of Investment Corporation of Bangladesh: An aspect of ICB Mutual Funds”. I have been doing the internship at ICB from 08.02.2013 to 16.04.2013. The aim of this report is to understand how Mutual Fund helps in the overall branding of Investment Corporation of Bangladesh. Primary objective of this study is to assess the overall performance of ICB Mutual Fund in branding the Investment Corporation of Bangladesh. Customer satisfaction can be defined as a measurement of the ability of the products or services to fulfil the demands of the consumers (Skogland and Siguaw, 2004). It can be measured in terms of the consumer perception towards the products or services provided by the organization. On the other hand, Silva (2006) mentioned that consumer satisfaction and loyalty for the products or services can be considered as a brand for the organization (Sharma and Jyoti, 2009). Yu et al., (2005) stated that the big challenge for today’s service relays on the excellent service quality and high customer satisfaction. Customer satisfaction refers to the customer’s overall evaluation of the performance of a service (Yee et al., 2008). However, Wansoo (2009) stated that anecdotal and limited evidence directly impact on the relationship between customer and employee satisfaction. A satisfied customer might become a repeat buyer, and this overall satisfaction has a strong positive effect on customer loyalty intentions and help organization to create loyalty base of customers (Vora (2004). At the time, the customer reaches or exceeds the expectative and satisfaction, he or she can become a loyal costumer, but it always depends on the personal experience and perception of quality (Voordt and Theo, 2004). Ugboro and Obeng (2000) explain that non-satisfied customer would prefer to buy the product or service anywhere else. On the other hand, a satisfied customer can be a positive word of mouth recommendation and improve loyalty. In contrast, a negative word-of-mouth leads to reduced customer satisfaction, if follows that satisfied customers spreading positive word-of-mouth might create new customers to the business (Topolosky, 2000). Services of high quality lead to customer satisfaction and higher profits. Customer’s perceptions of satisfaction are almost always dependent on the factors of quality, facilities, convenience, cooperation of the employees, feedback to the customers response, congenial atmosphere of the company and service that the company offers, resulting in loyal customers and favorable word of mouth exchanges (Storbacka et al., 1994). With the purpose of improving their competitive position, many financial institutions use some form of customer satisfaction programs for the evaluation and control of their services (Stern, 2003). As a result, customer satisfaction has been increased and finally it becomes profitable for the organization. So that it can be said that, customer satisfaction and service quality of the institution or corporation are closely related to each other and these connection is important for the profitability and performance for the organization. Hayday (2003) conducted an analysis about the leftover of the customers and clients from the organization. And from the investigation it can be said that in about 68% cases the clients left the organization due to the lack of concerns of the employees than the answers of the employees. So the customer satisfaction is the key element for the development of the organization. Horible (2009) mentioned that consumer satisfaction and loyalty for the products or services can be considered as a brand for the organization. The importance of financial institution is indescribable in the country. The impact of the financial institution to the economic sector for the nations is very much important. A financial institution deal with the money and the main goal of the institution is to act like as a connective medium between the investors who are ready to invest their money and mostly their hope (Hayday, 2003). Today financial institution is very advanced and it deals with the money that is used for further investment or investment in the share market or buying of other bonds, which can be considered as the medium for buying and selling any types of goods or services (Lee-Ross, 2005). The relationship between the customer profitability and customer satisfaction is energetic and it should have to take into consideration. The prolonged existence of the relationship and the extent of customer profitability should have to count and this profitable relationship lead to the building of brand image of the company where customers become loyal with the repeated purchase and long term relationship with the company. A financial institution can be able to meet the needs of the consumers during the transaction but the consumers may not use the services of the institution again. It depends on the consumer’s loyalty. In order to attract the consumer the financial institution should have to provide better services and opportunities to the consumer in order to make the consumer liable to the service. At first, the institution should have to gain the trust of their consumer and this trust will become a brand for the organization. All the institutions with mutual fund facilities provide same types of services but they do not provide the same quality of services. Furthermore, customers today are more aware of alternatives and their expectations of service have increased. Service quality can, therefore, be used as a strategic tool to build a distinctive advantage over competitors (Reichheld and Sasser, 1990). Although quality cannot be improved unless it is measured, it can be defined from several perspectives, e.g., the ability to satisfy the needs and expectations of the customer (Bergman and Klefsjo, 1994), or the totality of features and characteristics of a product or service that bears on its ability to satisfy given needs (Evans and Lindsay, 1996). While there is an increasing recognition of the importance of quality in mutual fund services, its conceptualization and empirical assessment have remained limited. Quality is still an elusive construct for many human services organizations. This is due to the difficulty in shifting a customer-oriented viewpoint. Since the central tenet of the quality paradigm is the importance of understanding and utilizing customer data to drive operational and strategic decisions, defining quality from the outside-in based on customer information is critical. This shift in defining quality often necessitates a fundamental change in the way professionals, managers, staff, and policy makers think about and identify those who “buy” or “use” services. Customers become loyal when company provides flexible credit term policy and fair charge to the investors in the mutual fund. It works as an overall brand image creation of the company and building reputation of the company. Internal marketing of the company is also important in creating customer loyalty base and long term relationship between company and customers (Gustafsson et al., 2005). In case of dividend giving policy customer will give priority to that organization which will give higher dividend and will invest in the profitable sector (Knonberg 2011).customers perceived value, expectation, flexible policy, trust, safety, support, loyalty all these things are important to build overall brand image of the company which will contribute to the long term profitability of the organization. I designed this report in a way where I can bring out the best result easily and accurately. However, there is no set of compulsory rules for the researcher to choose and to design method for completing the report. I need to select one or few methods in order to accomplish the study to have best results. Thomas (2003) said that, Quantitative and qualitative both are effective for the groundwork of a research, both approaches can be applied in a single research approach. Development of methodology will help me to understand the perception of customer about their loyalty level to the ICB mutual Funds. I will also develop methodology to analyze the brand power of the ICB through the contribution of ICB mutual fund. There are many sources from where I have collected the related data to know how ICB mutual Fund is contributing to the branding of Investment Corporation of Bangladesh. This report has been prepared on the basis of experience gathered during the period of internship. I have carefully observed the entire Department of ICB and I got some information from the responsible officers of concerning Department. For preparing this report, I have also gathered information from annual report of ICB Mutual Funds and website of the Investment Corporation of Bangladesh. The study covered based on both primary and secondary data. I have presented my experience and finding by using different charts and tables, which are presented in the analysis part. Data collection method: Relevant data for this report has been collected primarily by direct investigations of different records, papers, documents, operational process and different personnel. The interviews were administered by formal and informal discussion. Structured questionnaire has been used. Information regarding office activities of the organization has been collected through consulting various records and discussion with personnel from various Departments. Sampling Design: Population of the study represents all the listed investors of the ICB mutual funds as well as all the employers and employees and worker of ICB. An Overview on the point of view of the investors of ICB Mutual Funds. Total information is classified on the basis of the findings of ICB Mutual Funds. Data sources: The information and data for this report have been collected from both the primary and secondary sources. Data processing: Data collected from primary and secondary sources have been processed manually and qualitative approach has been used through the study. Data analysis and interpretation: Qualitative approach has been adopted for data analysis and interpretation taking the processed data as the base. So the report relies primarily on an analytical judgment and critical reasoning about the performance of ICB Mutual funds that are contribution to the overall branding of ICB. The scope of the report is basically the operations and practices of Investment Corporation of Bangladesh, in which I will undertake the internship program. The study confined only on the Head office and gave more concentration on it. The data comparison will be based on published information and an additional survey will perform to get in-depth information, as it helped to serve the attainment of objectives. ICB has 7 branches in the country. I could not able to visit all these branch offices. At the time of face to face discussion with officials, there were no sufficient chairs and tables. Relevant papers and documents were not available. Official’s secrecy of ICB was also a problem to me. Research philosophy defines why a particular research approach has been chosen or based on what philosophy the research is designed. Analyzing the research philosophies helps researcher to choose one particular philosophy. However, Bryman and Bell (2007)) and Saunders et al (2009) argued that choosing a research philosophy is vital because it has impact on the research. Moreover, the researcher has to justify why any particular philosophy has been chosen over others. Saunders et al. (2007) stated that common research philosophies related with research are Positivism, Interpretive and Realism. Therefore, a researcher requires choosing a philosophy to decide how to view the information and how to achieve them. Several writers (Saunders et al., 2000), Ghauri et al. (1995), highlighted some core element of a research philosophy. Comparing two research philosophies, a researcher can set his or her research philosophy. I also tried my best to follow the philosophy of any research where I have used the Survey questionnaire methods and make the respondents sure the information will totally be used only for educational purpose. However, researchers mainly use either qualitative or quantitative or mixed approach of research. Two ways to conduct a research/ or to collect research data, those are primary research, Secondary research. As this research is more related with the qualitative implication, so, I would like to choose the qualitative approach of research in this project, although in some case it has to deal with quantitative information when an initial understanding of customer brand support needs to develop and to understand the reasons and motivations of the customers about the ICB mutual Funds and the overall perception regarding the Investment Corporation of Bangladesh. Denzin and Lincoln (2000), explained that, to have a deep understanding about the study and to focus on research quality, now researchers choose multi approach of research or mixed method of research. He also added that, in qualitative approach of research, a researcher could analyze different case studies along with distinctive quantitative approach. Easterby et al., (1991) said that quantitative research uses numbers and after statistical analysis, the inference is drawn. The sampling frame is defined in terms of who the respondents are who can answer the questions that need to be addressed. To measure the investors’ attitudes towards ICB Mutual funds, I have selected 30 respondents. Interview; Face to face conversation with the respective officers and staffs of the branch and head office helped me to collect information. Practical work experience; Working in different desk of the branch helped me to collect some information that makes the report informative. Notes taken during the internship program and related important information given by the officials of ICB Mutual Funds helped me a lot to the successful completion of this report. Survey Questionnaire: Containing 22 questions in the survey questionnaire. b. Secondary data: The secondary data were collected from various departments of ICB. To clarify different conceptual matters, internet and different article published in the journals and magazines are used to best find the information about the ICB Mutual Funds. The secondary data had been collected with several relevant articles of the ICB. Annual Report of Mutual Fund (2010-11). Other supportive materials of the Investment Corporation. In designing the questionnaire, I paid particular attention to the content and wording of the questions. I wanted to reduce the biasness of the respondents that’s why I structured the Questionnaires’ in a way which will reduce the biasness of the respondents. I used a mixture of questionnaire pattern which included Scaling, MCQ and open ended questions. There are various options to gather data like questionnaires, interviews, observation and artefacts, case study etc. There are various possibilities of data gathering however, Thomas (2003) has mentioned that, there are some methods that can collect both primary and secondary information. In this research, I will only collect data from the questionnaire survey. Cameron and Price (2009) stated that, most of the questionnaire survey provides some pre-specified options to the respondents from where they can select the option they think suit with the questions asked. Questionnaire survey is an easy and more common approach for the many researchers to gather extensive primary data. As the sample of survey, I have selected the current customer of ICB Mutual Funds and investors from other companies. In data collection, a researcher has to consider the data quality, time limitations and costs as the core factors. Collected data will be analyzed through using the Microsoft excel and computers using SPSS software Qualitative information will be analyzed based on the nature of the information. During the analysis of key questions, some questions are given utmost importance and some of the questions can be deleted or should not be analyzed. The main objective is to conclude an inference, that is, unnecessary findings will be deducted from the basic analysis. In this survey data were analyzed by comparing and contrasting the answers of the customers about the ICB Mutual Funds and its impact on ICB. The emergence of Bangladesh as a sovereign country in 1971 is the culmination of the nine month long historic struggle of its people. Then the govt. of the infant country nationalized almost all the industries under the Bangladesh Industrial enterprise (nationalization) order 1972 popularly known as p 27.After liberation in view of socio – Economic change the scope for private sector investment in the economy was kept limited by allowing investment in projects up to taka 2.5 million. The new investment policy which was announced in July 1972 provided for an expanded role of private by allowing investment in a project up to tk30 million. One of the reasons among others was the institutional facilities, which provided underwriting support (like former investment corporation of Pakistan, (ICP) to industrial enterprises that was required to raise the much needed equity fund. Thus the need for reactivation of capital market/ stock market was keenly felt. Government announced its decision to reactivate the stock exchange and examine the question of recreation of investment Corporation of Bangladesh. Accordingly a committee of officials examined the matter and recommended for recreation of ICB. After recommendation the Investment Corporation Of Bangladesh (ICB) was established on 1st October 1976, under “the investment corporation of Bangladesh Ordinance 1976”(no .XL of 1976).Through the enactment of the Investment Corporation of Bangladesh (Amendment) Act ,2000 (no.24 of 2000).Reforms in operational strategies and business policies have been implemented by establishing and operating subsidiary companies under ICB. We will be leading, responsible and environment friendly financial institution operating. In such a way that our fellow competitors and the society watch, acknowledge, admire and emulate us as a role model of success. Bearing a responsible institution created by law, we will act in accordance with the mandates of ordinance for fostering rapid growth of Bangladesh economy. Bearing a financial architect, we will strive to establish a benchmark of values, attitudes, behaviour, and commitments with earnest endeavours in generating optimum profits and growth for our shareholders by efficient use of resources. Being an innovative solution provider, we put emphasis on formulating total solutions to foster mobilization of all domestic and NRB savings into potential investments. To promote and establish subsidiary companies for business development. Managing Mutual funds and Unit funds. Providing investment counselling to issuers and investors. Participating in and financing of joint venture projects. Dealing in other matters related to capital market operation. To supervise and control the activities of the subsidiary companies. The Head office of the corporation as per the requirement of the ordinance of ICB is located at Dhaka. The general direction and superintendence of the corporation is created in a board of directors that consists of persons including the chairman and managing director of ICB. The chairman to be appointed by the government. The directors to be appointed by the government from among persons serving under the government. One director to be nominated by the Bangladesh Bank. Four other directors to be elected by the share holders other than the government, BB,BSB &BSRS. The managing director is the chief executive of the corporation. The corporation has an executive comprised of 5 people including managing director. Investment Corporation of Bangladesh is a cooperation body as per section 3 of Investment Corporation of Bangladesh Ordinance, 1976 and deemed to be a banking company within the meaning of the Banking Companies Ordinance, 1962 (L VII OF 1962). The shares of corporation are listed with the stock exchange. ICB is authorized broker of DSE. The chairmen to be appointed by the government. The director to be appointed by the government from among persons serving under the government. For other directors to be elected by the share holders other than the government, BB, BSB, & BSRS. The managing director of ICB to be appointed by the government. The managing director is the chief executive of the corporation. The corporation has an exclusive comprised of 5 people including managing director. ICB Securities Trading Co. Ltd.
ICB’s share price varied from lowest tk. 2170.5 to highest Tk. 5700 in the stock exchanges during the year. As on 30 June 2010, the market price of per share was Tk. 4991.75 and TK. 5020.0 in the DSE and CSE respectively. Source: Annual Report of Investment Corporation of Bangladesh (ICB) 2011-2012. The Managing Director of ICB performed the responsibilities of the first chairman of the Governing Board of SADF and by rotation; the Chief Executive Officer of National Bank of Pakistan is the current Chairman of the Governing Board of SADF. Under Window –I of SADF ,identification and feasibility studies of 14 projects have been completed of which 9 projects are in Bangladesh and under window –ii training programmed were arranged in India. Investment in South Asia Regional Fund (SARF). To facilitate investments in SAARC member countries a development fund of US $ 200.0 million, namely, South Asia Regional Fund (SARF) was declared in the Commonwealth Summit held in 1997. The fund is managed by a wholly owned subsidiary of Commonwealth Development Corporation (CDC) incorporated in Mauritius. The objective of the fund is to achieve long term benefits through direct equity and equity related investments in private sector companies of SAARC countries. As in the previous years, ICB and its subsidiary companies played very important and expanded roles through participation in both the primary and secondary markets to quicken the pace of industrialization and to development and enlarge a vibrant and sustainable capital market in the country. As on 30 June 2010,the members of ICB assisted securities were 139 out of 279 listed securities (excluding 171 Govt. treasury bonds) of the Dhaka Stock exchange Ltd. Out of 232 listed securities of the Chittagong stock Exchange Ltd. In the reporting year, through the purchase and sale of securities for ICB’s investment portfolio, unit fund and mutual funds portfolios and on behalf of investment account holders ICB made significant contribution in maintaining stability, reliability and liquidity of the stock market. ICB is authorized to act as an agent of the issuers and investors for private placements of securities. Under this arrangement, ICB places securities to individual/ institutions on behalf of the issuer for which it charges fees. 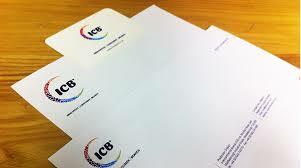 ICB also acquires shares/securities for its own portfolio both in pre –IPO placement and equity investment. To act as the custodian to the public issue of Opened & Closed –end Mutual funds. ICB provides professional services. It also acts as the Banker to the issues and provides similar services through the network of its branches. Fees in this regard are negotiable. Companies willing to expand their business through mergers or acquisitions or to Dis –investment projects that no longer viable into present capacity of operation can contact the Corporation. ICB provides professional service & advices in respect of shaping up the cost and financial structures to ensure best possible operational results. Besides, in case of divestment, the corporation ,through network and established business relationship, bring buyers and sellers together, help them to negotiate final agreement and advice on the emerging corporate structure. Government enterprises and companies intending to go public issue often seek professional &financial advice on corporate restricting & reengineering.ICB through its expertise provide such services through its expertise. ICB provides lease finance mainly for procurement of industrial machinery, equipment and transport.ICB provides professional advice and financial assistance to the intending clients. The period of lease, rental, and charges and other terms and conditions are determined on the basis of type of assets and the extent of assistance required by the applicants. Since introduction of this scheme in 1999 good responses have been received from the intending leases. Being the largest institutional investor ICB contributes significantly to the development of the country’s capital market through active portfolio management which is one of the important functions of ICB .Up to 30 June 2004 ICB made a total investment of tk 41.08 crore in 27 companies through purchase of preference shares ,debentures, shares against pre-IPO placement and bonds of Tk.7.3 crore of 3 companies, tk. 9.5 crore of 3 companies ,Tk.11.33 crore of 12 companies and tk 5.0 crore of a company respectively through investment of Tk 7.95 crore in 8 companies as direct equity participation. Advance against ICB Unit Certificates Scheme was introduced in 1998, especially designed for the ICB unit –holders to meet their emergency fund requirements. One can borrow maximum Tk.85 per unit by depositing his/her unit certificates under lien arrangement from any of the ICB offices where from such unit certificates were issued. The rate of interest on the loan is responsible and competitive. Advance against ICB Mutual Fund certificates scheme was introduced in 2003,designed for the ICB Mutual Fund Certificates- holders to meet their emergency fund requirements. One can borrow maximum of 50% value of last one year’s weighted average market price of certificates at the time of borrowing by depositing his/her certificates under lien arrangement from any of the ICB offices. The rate of interest on the loan is responsible and also competitive. The computerization plan should put emphasis on selection of hardware, network technology and platform software life RDBMS choice management support. Establishing ICB firmly on IT industry not only as a consumer but also as a formidable IT solution provider especially in the financial sector. ICB believes its huge experience over the years and infrastructure are something that can be offered in the financial arenas of Bangladesh and abroad on business basis in the future. ICB is planning to collect all its branch operation online with its head office system. Online integrated branch banking with the central data depository in head office based on a strong WAN connection is the next in line. A Mutual Fund is a trust that pools the savings of a number of investors who share a common financial goal. The money thus collected is then invested in capital market instruments such as shares, debentures and other securities. The income earned through these investments and the capital appreciations realized are shared by its unit holders in proportion to the number of units owned by them. Thus a Mutual Fund is the most suitable investment for the common man as it offers an opportunity to invest in a diversified, professionally managed basket of securities at a relatively low cost. The flow chart below describes broadly the working of a Mutual Fund. A Mutual Fund is a body corporate registered with the Securities and Exchange Commission that pools up the money from individual/corporate investors and invests the same on behalf of the investors/unit holders, in Equity shares, Government securities, Bonds, Call Money Markets etc, and distributes the profits. In the other words, a Mutual Fund allows investors to indirectly take a position in a basket of assets. Mutual Fund is a mechanism for pooling the resources by issuing units to the investors and investing funds in securities in accordance with objectives as disclosed in offer document. Investments in securities are spread among a wide cross-section of industries and sectors thus the risk is reduced. Diversification reduces the risk because all stocks may not move in the same direction in the same proportion at same time. Investors of mutual funds are known as unit holders. The investors in proportion to their investments share the profits or losses. The mutual funds normally come out with a number of schemes with different investment objectives which are launched from time to time. A Mutual Fund is required to be registered with Securities Exchange Commission which regulates securities markets before it can collect funds from the public. A Mutual Fund actually belongs to the investors who have pooled their Funds. The ownership of the mutual fund is in the hands of the Investors. A Mutual Fund is managed by investment professional and other Service providers, who earn a fee for their services, from the funds. The pool of Funds is invested in a portfolio of marketable investments. The value of the portfolio is updated every day. The investor’s share in the fund is denominated by “units”. The value of the units changes with change in the portfolio value, every day. The value of one unit of investment is called net asset value (NAV). The investment portfolio of the mutual fund is created according to the stated Investment objectives of the Fund. A closed–end Fund is open for sale to investors for a specific period, after which further sales are closed. Any further transaction for buying the units or repurchasing them, Happen in the secondary markets, where closed end Funds are listed. Therefore new investors buy from the existing investors, and existing investors can liquidate their units by selling them to other willing buyers. In a closed end Funds, thus the pool of Funds can technically be kept constant. The asset management company (AMC) however, can buy out the units from the investors, in the secondary markets, thus reducing the amount of funds held by outside investors. The price at which units can be sold or redeemed Depends on the market prices, which are fundamentally linked to the NAV. Investors in closed end Funds receive either certificates or Depository receipts, for their holdings in a closed end mutual Fund. Mutual Fund provides small investor’s access to the whole market that an individual level would be difficult if not impossible to achieve. Because funds are professionally managed, investors are relieved from the emotional strain associated with the day to day management of the fund. Thus the fund provides access to extensive local research and investment experience. The investor saves a great deal in transaction costs given that she/he has access to large number of securities by purchasing a single share of a Mutual Fund. Income will be tax free up to certain level, which is permitted as per Finance Act. Investment in the Fund would qualify for investment tax credit under section 44(2) of the Income Tax Ordinance 1984. SEC regularly monitors the performance of such funds. The laws governing mutual funds require exhaustive disclosures to the regulator and general public and, as such mutual funds are one of the most transparent investment vehicles in Bangladesh. Settler of the trust or the sponsoring organization. The trust formed under the Trust Act, 1882. Mutual fund trust is created by the sponsors under the Trust Act, 1882 which is the main body in the creation of Mutual Fund trust. (Name of the Trustee)….. Shall be the Trustee of the Fund by Virtue of this Trust Deed. Planning and formulating Mutual Funds schemes. Seeking SEC’s approval and authorization to these schemes. Marketing the schemes for public subscription. The Trustee shall, as the guardian of the Fund hold all capital assets of the Fund in trust for the benefit of the unit holders, in accordance with the Securities and Exchange Commission (Mutual Fund) Rule 2001 and this instrument of Trust and the unit holders shall preserve only the beneficial interest in the Trust properties on pro rata basis of their ownership in the specific scheme of the Fund. The Trustee shall take all reasonable care to ensure that the schemes of the mutual fund floated and managed by the Asset Management Company are in accordance with the Trust Deed and the Securities and Exchange Commission (Mutual Fund) Rule 2001. The Trustee shall receive a quarterly report from the Asset Management Company and submit a six monthly report to the Commission on the activities of the schemes of the Mutual Fund. The Trustee shall have the right to call for any books of accounts, records, documents and such other information as considered necessary from the Asset Management Company as is relevant to the management of the affairs concerning the operation of the schemes of the Mutual Fund. The Trustee shall not participate in any decision making process for investments of the Fund and its various schemes. The Trustee shall be paid an annual Trusteeship Fee of @………% of the Net Asset Value (NAV) of the Fund on semi-annual in advance basis, during the life of the particular scheme or as may be agreed upon between the parties. (Name of the Custodian)….) shall be the Custodian of the Fund and its various Schemes as per the Securities and Exchange Commission (Mutual Fund) Rule 2001. The Custodian shall keep liaison with the CDBL and collect and preserve information required for ascertaining the movement of securities of the Fund. The Custodian shall keep the securities of the Fund in safe and separate custody and shall provide highest security for the assets of the Fund. d) Details of registration of the securities, if any; under custody. The Custodian shall have physical possession of the stock and securities of the Fund and be responsible for safekeeping of the securities. Applicable negotiated custodial service charges shall be paid to the Custodian by the Fund, which shall be competitive and market based and disclosed on the prospectus of the respective schemes. The Custodian shall also be responsible for the settlement, transfer and registration, dividend collection and corporate announcement dissemination services. The Custodian shall furnish to the Asset Management Company the interest that they may have in any company or financial institution or anybody corporate by virtue of their positions as director, partner, and managers or in which they may be associated with in other capacities. An investor can purchase any of the existing eight ICB Mutual Funds certificates through the Stock Exchanges at the prevailing Market Price. However, if an investor buys Mutual Fund certificates through the Stock Exchange he/she must be careful to submit the certificates along with duly filled-in transfer deed at ICB Head Office to ensure that the certificates arc registered in his/her name. From trend analysis of ICB Mutual Fund it is found that there was an increasing each year. In year 2005-06 and year 2006-07 dividend increase very slowly. But in last three years it is increasing very rapidly. In year 2009-10 and 2010-11 it is double from the year 2008-09. O it is very clear from the figure the dividend trends of ICB Mutual Fund are upward. Source: Annual Report of ICB Mutual Funds 2011-2012. From the above table we see that, during the period 2010-11, the highest traded securities was the 8th ICB Mutual fund along with the highest trading amount. From the above table we see that, during the period 2011-12, Net income ICB 8th Mutual Fund is height and low 2nd ICB mutual fund. The distributable income per certificate and ex-dividend intrinsic value per certificate is height of ICB 1st Mutual fund and 6th & 7th ICB mutual fund is low. ICB is the pioneer organization of initiating mutual fund in Bangladesh. The country’s first fund, the “First ICB Mutual Fund” was launched on 25 April 1980. Since then ICB had floated 8 mutual funds of total capital of TK.17.5 core up to investors as a rewarding and relatively safe investment instrument because of their strong and steady performance in terms of dividend and portfolio management. The First ICB Mutual was established in April 1980, under regulation 29A of ICB (General) Regulation with a total capital of TK. 50,000 certificates of TK. 100 each. In the financial year 2006-07, one bonus certificates were issued against two certificates and capital fund raised by Tk. 25, 00,000. Now the paid-up capital of the fund stood at Tk. 755, 00,000 divided into 75000 certificates. The manager of the Fund is vested with ICB. The Fund has earned an amount of TK.89.24 lac as dividend from 56 securities during 2011-2012 of which a sum of TK. 59.96 lac (67.19 percent) was received in cash within 30June 2012. During 2009-10, the Fund earned TK.399.98 lac as capital gains by selling securities of 81 companies. During the year under review, the Fund has earned a gross income of TK. 505.30 lac. By way of dividend income of TK. 89.24 lac. Interest income of Tk. 14.04 lac. On bank deposits, capital gains of Tk. 399.98 lakh and other income. After deducting the total expenses of Tk. 20.14 lac. Incurred as staff expenses, interest on current account with ICB, management fee, printing and stationery, postage and telegram, bank charges, provision against investment and others the net income of the Fund stood at Tk. 485.23 lac. Taking into account the previous year’s undistributed income of Tk. 454.90 lac. The Fund had a net distributable income of Tk. 940.13 lac. As on 30 June 2012 resulting in distributable income per certificate of Tk. 1253.51. The Fund has declared dividend at the rate of 500.00 percent which was 400.00 percent for the previous year. After making provision of TK. 375.00 lac for payment of dividend the Fund had an undistributed income of TK 565.14 lace. The Year –wise dividend the Fund had an undistributed income of TK. 565.14 lace. Dividend Performance of First ICB Mutual fund. 2007-08 TK. 2008-09 TK. 2009-10 TK. 2010-11 TK. 2011-12 Tk. From the table we can see that, First ICB Mutual Fund Dividend performance (2010-11) is high (TK.500.00) and (2006-07) is low (TK.190.00). The Second ICB Mutual was established in June 1984, under regulation 29A of ICB (General) Regulation with a total capital of Tk. 50, 00,000 dividends into 50000 certificates of TK. 100 each. The manager of the Fund is vested with ICB. The Fund has earned an amount of TK. 35.42 lac as dividend and interest from 59 securities during 2011-2012 of which, Tk. 33.12 lac (92.46 percent) was received in cash within 30June 2012. During 2011-12, the Fund has earned TK. 264.35 lac as capital gains by selling securities of 62 companies. During the year under review, the Fund has earned a gross income of Tk. 308.05 lac. by way of dividend and interest income from investment in securities of Tk. 35.82 lac. Interest income of Tk. 4.49 lac. On bank deposits, capital gains of Tk. 264.35 lac. and other income. After deducting the total expenses of Tk. 142.95 lac. Incurred as staff expenses, management fee, printing and stationery, postage and telegram, interest on current account with ICB, bank charges, provision against investment and others, the net income of the Fund stood at Tk. 165.10 lac. Taking into account the previous year’s undistributed income of Tk. 159.89 lac the Fund had a net distributable income of Tk. 324.99 lac as on 30 June 2012 resulting in distributable income per certificate of Tk. 649.98. The Fund has declared dividend at the rate of 250.00 per certificate of Tk. 100.00 each for the year 2010-111, which was Tk. 200.00 per certificate in the previous year. After making provision of Tk. 125.00 lac for payment of dividend the Fund has an undistributed income of Tk 199.99 lac.
. Dividend Performance Second ICB Mutual fund. From above the table we can see that, the dividend performance of ICB Second Mutual Fund (2011-12) is high (TK.250.00) and (2006-07) is low (TK.62.00). The Third ICB Mutual was established in May 1985, under regulation 29A of ICB (General) Regulation with a total capital of Tk. 100, 00,000 dividends into 100000 certificates of Tk. 100 each. The manager of the Fund is vested with ICB. The Fund has earned an amount of Tk. 41.45 lac dividend and interest from 58 securities during 2009-2010 of which, Tk. 37.37 lac (90.16 percent) was received in cash within 30June 2011. During 2010-11, the Fund has earned Tk. 303.52 lac as capital gains by selling securities of 69 companies. During the year under review, the Fund has earned a gross income of Tk. 367.75 lac. by way of dividend and interest income from investment in securities of Tk. 41.45 lac. interest income of Tk. 20.19 lac. On bank deposits, capital gains of Tk. 303.52 lac. and other income. After deducting the total expenses of Tk. 119.41 lac. Incurred as staff expenses, management fee, printing and stationery, postage and telegram, interest on current account with ICB, bank charges, provision against investment and others, the net income of the Fund stood at Tk. 284.34 lac. Taking into account the previous year’s undistributed income of Tk. 236.89 lac the Fund had a net distributable income of Tk. 485.23 lac as on 30 June 2012 resulting in distributable income per certificate of Tk. 485.23. The Fund has declared dividend at the rate of 185.00 per certificate of Tk. 100.00 each for the year 2010-11, which was Tk. 140.00 per certificate in the previous year. After making provision of Tk. 180.00 lac for payment of dividend the Fund has an undistributed income of Tk 305.23.
Dividend Performance Third ICB Mutual fund. From the table we can see that, the dividend performance of ICB Third Mutual Fund (2010-11) is high (TK.185.00) and (2006-07) is low (TK.56.00).The duration is (TK.129.00). The Fund has earned an amount of Tk. 50.20 lac as dividend and interest from 64 securities during 2009-2010 of which, Tk. 39.03 lac (77.74 percent) was received in cash within 30June 2011. During 2010-11, the Fund has earned Tk. 373.32 lac as capital gains by selling securities of 76 companies. During the year under review, the Fund has earned a gross income of Tk. 443.90 lac. by way of dividend and interest income from investment in securities of Tk. 50.20 lac. interest income of Tk. 16.09 lac. on bank deposits and capital gains of Tk. 373.32 lac. After deducting the total expenses of Tk. 209.87 lac. incurred as staff expenses, management fee, printing and stationery, postage and telegram, interest on current account with ICB, bank charges, provision against investment and others, the net income of the Fund stood at Tk. 234.02 lac. Taking into account the previous year’s undistributed income of Tk. 243.20 lac, the Fund had a net distributable income of Tk. 477.22 lac as on 30 June 2010 resulting in distributable income per certificate of Tk.477.22. The Fund has declared dividend at the rate of 165.00 per certificate of Tk. 100.00 each for the year 2010-11, which was Tk. 125.00 per certificate in the previous year. After making provision of Tk. 165.00 lac for payment of dividend the Fund has an undistributed income of Tk 312.22 lac..
Dividend performance Fourth ICB Mutual fund. From the table we can see that, Fourth ICB Mutual Fund (2010-11) dividend performance is high (TK.165.00) and (2006-07) is low (TK.52.00). The duration is (TK.113.00). The Fifth ICB Mutual was established in June 1986, under regulation 29A of ICB (General) Regulation with a total capital of Tk. 15,000,000 dividend into 150,000 certificates of Tk. 100 each. The manager of the Fund is vested with ICB. The Fund has earned an amount of Tk. 67.07 lac as dividend and interest from 68 securities during 2011-2012 of which, Tk. 57.79 lac (85.65 percent) was received in cash within 30June 2011. During 2010-11, the Fund has earned Tk. 412.21 lac as capital gains by selling securities of 78 companies. During the year under review, the Fund has earned a gross income of Tk. 513.79 lac. by way of dividend and interest income from investment in securities of Tk. 67.47 lac. and interest income of Tk. 27.31 lac. on bank deposits, capital gains of Tk.412.21 lac. After deducting the total expenses of Tk.229.86 lac. Incurred as staff expenses, management fee, printing and stationery, postage and telegram, interest on current account with ICB, bank charges, provision against investment and others, the net income of the Fund stood at Tk. 283.93 lac. Taking into account the previous year’s undistributed income of Tk. 181.06 lac, the Fund had a net distributable income of Tk. 464.99 lac as on 30 June 2012 resulting in distributable income per certificate of Tk. 309.99. The Fund has declared dividend at the rate of Tk. 100.00 per certificate of Tk. 135.00 each for the year 2010-11, which was Tk. 100.00 per certificate in the previous year. After making provision of Tk. 202.50 lac for payment of dividend the Fund has an undistributed income of Tk 262.49 lac. Dividend Performance Fifth ICB Mutual fund. From the table we can see that, Fifth ICB Mutual Fund (2010-11) dividend performance is high (TK.135.00) and (2006-07) is low (Tk.33.00). The Sixth ICB Mutual was established in June 1986, under regulation 29A of ICB (General) Regulation with a total capital of Tk. 50,000,000 dividend into 5,00,000 certificates of Tk. 100 each. The Fund has earned an amount of Tk.73.81 lac as dividend and interest from 69 securities during 2010-11 of which, Tk. 66.61 lac (90.25 percent) was received in cash within 30June 2011. During 2010-11, the Fund has earned Tk. 541.64 lac as capital gains by selling securities of 80 companies. During the year under review, the Fund has earned a gross income of Tk.644.82 lac. by way of dividend and interest income from investment in securities of Tk.73.81 lac. interest income of Tk.21.94 lac. on bank deposits, capital gains of Tk. 541.64 lac. After deducting the total expenses of Tk. 115.95 lac. incurred as staff expenses, management fee, printing and stationery, postage and telegram, interest on current account with ICB, bank charges, provision against investment and others, the net income of the Fund stood at Tk.528.87 king into account the previous year’s undistributed income of Tk.298.98 Fund had a net distributable income of Tk.827.84 on 30 June 2011resulting in distributable income per certificate of Tk. 165.57. The Fund has declared dividend at the rate of Tk. 95.00er certificate of Tk. 100.00 each for the year 2010-11wich was Tk. 75.00 certificate previous year. After making provision of Tk.475.00 lac for payment fund has distributed income of Tk 352.84.
Dividend performance Sixth ICB Mutual fund. From the table we can that, the dividend performance of ICB Sixth Mutual Fund (2011-12) is high (Tk.90.00) and (2006-07) is low (Tk.23.00). The duration of dividend performance is (Tk.67.00). The Seventh ICB Mutual was established in June 1986, under regulation 29A of ICB (General) Regulation with a total capital of Tk. 3, 00, 00,000 dividends into 300000 certificates of Tk. 100 each. The Fund has earned an amount of Tk. 72.08 lac as dividend and interest from 76 securities during 2011-12 of which, Tk. 60.23 lac (83.56 percent) was received in cash within 30June 2012. During 2011-12, the Fund has earned Tk. 648.03 lac as capital gains by selling securities of 89 companies. During the year under review, the Fund has earned a gross income of Tk. 765.14 lac. by way of dividend and interest income from investment in securities of Tk. 72.08 lac., interest income of Tk. 37.25 lac. On bank deposits, capital gains of Tk. 648.03 lac. After deducting the total expenses of Tk. 361.03 lac. Incurred as staff expenses, management fee, printing and stationery, postage and telegram, interest on current account with ICB, bank charges, provision against investment and others, the net income of the Fund stood at Tk. 404.11 lac. Taking into account the previous year’s undistributed income of Tk. 257.31 lac, the Fund had a net distributable income of Tk. 661.42 lac as on 30 June 2012. The Fund has declared dividend at the rate of Tk. 95.00 per certificate of Tk. 100.00 each for the year 2010-11, which was Tk. 70.00 per certificate in the previous year. After making provision of Tk. 285.00 lac for payment of dividend the Fund has an undistributed income of Tk 376.42 lac. Dividend Performance Seven ICB Mutual fund. Source: Annual Report of ICB Mutual Funds 2010-11. From above the table we can see that, the dividend performance of ICB Seven Mutual Fund (2011-12) is high (Tk.95.00) and (2006-07) is low (Tk.22.00). The different of two dividend performance is (Tk.73.00). The Sixth ICB Mutual was established in June 1986, under regulation 29A of ICB (General) Regulation with a total capital of Tk. 5, 00, 00,000 dividends into 500000 certificates of Tk. 100 each. The Fund has earned an amount of Tk. 81.51 lac as dividend and interest from 70 securities during 2011-2012 of which, Tk. 71.80 lac (88.09 percent) was received in cash within 30June 2012. During 2011-12, the Fund has earned Tk. 711.38 lac as capital gains by selling securities of 83 companies. The Fund has declared dividend at the rate of Tk. 90.00 per certificate of Tk. 100.00 each for the year 2011-12, which was Tk. 65.00 per certificate in the previous year. After making provision of Tk. 450.00 lac for payment of dividend the Fund has an undistributed income of Tk 527.16 lac. Dividend Performance Eight ICB Mutual fund. From the table we can see that, the performance of Eight ICB Mutual Fund (2011-12) is high (Tk.90.00) and (2006-07) is low (Tk.18.00). Table- 10: Consolidated position of portfolios of ICB Mutual Funds as on June 2011-12. During the year under review, certificates of eight Mutual Funds were actively traded on the floor of the Dhaka Stock Exchange Ltd and Chittagong Stock Exchange Ltd. The highest and lowest price of the eight Mutual Funds certificates on Dhaka Stock Exchange Ltd and position of total transaction during 2011-12 are shown in the following table. Table-11: Market prices of ICB Mutual Funds during 2011-12. From the above table we see that, during the period 2011-12, the 1st ICB Mutual Fund market price is highest (11050.00) and 8th Mutual Fund market price is lowest. So price duration is (10400.00). Good customer relationship: ICB Mutual Funds maintain good customer relationship by giving profitable return, timely service and high dividend. Cumulative investment plan: ICB Mutual Funds sometimes provide CIP certificates instead of dividend. It is helpful both for the investors as well as ICB. Because ICB gets the money again to its fund and investors get one more certificate. Strong portfolio management: maintaining strong portfolio, ICB generates high profit that ultimately goes to investors pockets and this helps the ICB mutual fund to seek help from the organization whenever needed. Available fund: ICB manages a number of funds to bring diversification in investment sectors and help its other subsidiary organization to make the necessary funds available when needed. Insufficient loan sanction: Because of not recovering previous funds from the investors ICB Mutual Funds are reluctant to provide more to the investors. Low quality service: Since it is a government corporation, it cannot keep pace with the private sectors. At the same time, it needs to maintain a lot of formalities that’s why its service is of low quality. Inadequate human resources: The human resources are not sufficient in terms of its service providing system. It has to maintain a number of formalities to recruit employees. Expanded market: As new industries are coming into the market, capital market is being large enough and long term financial demand is being created. Online access: ICB Mutual Fund is trying to enter into the online facilities and enriching itself by introducing online access in its operations which will not require investors to physically come to the organization. Multi-sector Revenue flow: Because of offering various financial tools, ICB Mutual funds generate revenue flows from different sectors. Increasing awareness: Today’s investors are becoming more aware of capital market. They participate in the primary and secondary markets as well as in the diversified investment scheme. Stiff competition: previously ICB Mutual Funds were one of the financial corporations. But now a large number of financial institutions are involving in long term financing. That’s why ICB Mutual Funds are facing stiff competition. Volatile economy: The economy of Bangladesh as well as that of the investment company is tied with the overseas. Rise in interest rate and events like terrorist attacks are likely to affect the Bangladesh economy and the margin of leasing companies also affecting this. The changing nature of share market also affecting the smooth operation of ICB Mutual Funds. Inappropriate infrastructure: the lack of sufficient legal framework to penalize the defaulter takes this organization into a tough situation. Involvement of Ranks with Leases: These days’ banks have come up with leases. This has further increased competition. Positioning helps an organization to occupy a distinct position in the minds of customers. Because of this positioning company can maintain a long term relationship with the customers because of its distinctive service or features which stimulate customers to purchase from the organization and becoming a loyal customer. Here, we see that ICB Mutual Funds are providing high dividend along with high performance that means satisfactory customer services and counselling. On the other hand, AIMS provide low dividend with moderate performance. Lastly, BSRS provides low dividend whereas performance of this company is satisfactory. ICB Mutual funds provide up to 700% dividend to its investors even in the bad time of share market which also make it a reliable and safe source of investment. People are very much conscious about the money they invest. They want a safe and reliable source who will give committed service and satisfactory dividend. We know that, recently Bangladesh has faced a severe problem in the share market but ICB Mutual Funds were not that much affected by this problem whereas other competitors faced huge problems. Because of this committed and continuous service investors become loyal to this organization and maintain long term relationship with the organization. So in conclusion we can say that, ICB Mutual Funds occupy a distinct position in the mind of investors and able to make profit which create a win- win situation for both ICB mutual funds and the investors. Company has to take decision regarding the integrated marketing analysis which helps it to keep its customers in touch. Every company follow most of the tools of IMC to make customers informed about its offerings and benefits.ICB follows some of these tools like Advertisement and public relation. It publishes its report and divided announcement in the print media and promotes the company by using mini-billboard in busy places of Dhaka city, example of which was the mini-billboard adv. 0n 26th March, 2013. For every company industry analysis is very important to know about the competitive environment of the business. For this every company conduct industrial analysis for better understand the business environment and probable threats from different sources like new entrance, substitute products, bargaining power of customers, etc. ICB Mutual Funds also conscious to analyze the probable threats from these parities. Here, we see that intra industry rivalry is low, where bargaining power of customers is low. Basically here four forces matches with the ICB Mutual Funds and here bargaining power of supplier is undefined. Every company wants to position its brand by communication its brand value and delivery of committed services to create customer equity and create customer loyalty base. ICB Mutual Funds also use distinctive features to communicate the brand message to its customers to make investors informed about the brand performance of ICB Mutual funds. Here we see that ICB Mutual funds positioned itself as trustworthy, safe and high dividend giving company and it communicates its features using different IMC tools like advertisement campaign and public relation like magazines, annual reports, etc. The performance of its product is very high as it is called the risk free investment zone where customer satisfaction is high. Brand is not created overnight. It needs continuous commitment and service to create a loyal customer base and for this company has to develop different strategic plan to make it different from other competitors. Investors of ICB mutual funds have created a mental map about the organization, when they think about the ICB mutual funds then the following variables come to the minds of customers. In this chapter, I will present the results found from the execution of the survey to collect quantitative and qualitative data. This chapter has done a depth analysis on the twenty two survey questions, which was conducted on the 30 customers, for the identification of how ICB Mutual funds help in the overall branding of the investment corporation of Bangladesh. I conducted the survey and collected data from the customers through the mixture of open ended and close ended questions to find the research objectives. The research objectives will be analyzed with respect to the findings from the survey questionnaires. The respondents for this survey have been selected from the ICB mutual fund offices and from other investors who want to involve in the Mutual Funds. Therefore, this study expected to yield good outcomes in respect to the objective fulfilment. I tried to show the findings by using tables and charts based on the questions asked. There were hardly any numeric figure in their answers but I put these into the tables and charts for better understanding of the report. I used different types of survey questionnaires to better attain the objectives of the research project. I used 22 different questionnaires to attain the objectives of this report by asking customers from different age. In the following discussion, I tried to clarify all the findings related to the objectives. The answers of the respondents showed how ICB Mutual funds play a vital role in the development of capital market. As the question was in the likert scale form started from strongly disagree and ends with the strongly agree. The respondents gave their opinion by ticking on these available options in the questionnaires. Majority of the respondents think that, ICB Mutual funds play a vital role in the development of capital market. Findings of the survey showed that, 60 % of the respondents strongly agreed with the statement, 20 % of the respondents agreed with this statement, 10 % of the respondents were neutral in their opinion, 7% of the respondents showed disagreement with this statement and 3.33 % of the respondents were strongly disagree with this statement. A common question has been asked all the interviewees regarding the contribution of Mutual Funds in the creation of brand value and loyalty of Investment Corporation of Bangladesh which benefits the company in the long run to sustain in the competitive marketplace. The answers were mixed from the part of the respondents. Some respondents strongly agreed with the statement whereas some gave disagreement with this statement. 6.66% of the respondents strongly disagreed with the statement, 10% of the respondents disagreed, 13.33% of the respondents were neutral about the contribution of ICB mutual funds to the creation of brand loyalty and value of ICB, 40%% of respondents agreed and 30% of the respondents strongly agreed with the statement that ICB mutual funds contribute to the creation of brand loyalty of ICB. ICB Mutual funds always try to maintain a good relationship with the investors by providing flexible credit facilities to the investors. This reputation of the Mutual funds attracts the new investors to the different departments of the company as investors are getting more facilities in this organization. Their answers were just to give opinion about the statement by strongly disagree, disagree, neutral, agree, and strongly agree. Majority of the respondents agreed with the statement that ICB mutual funds have a good credit policy toward investors.10%% of the respondents showed disagree, 6.66% showed strongly disagreement, 16.66% showed neutral opinion, 60% showed agreement and 36.66% of the respondents showed strong agreement with the statement. ICB Mutual funds charge fairly from the customers. In case of financial institution, people will rush to that organization where they will get more benefits and the charge for their account or other services will be comparatively low. I just wanted to find out the perception of investors about the ICB Mutual Funds whether it charge fairly or not. I got the mixed answers from the respondents. Most of them were agree with the statement but the disagreement and strong disagreement also were there. Table 15: ICB Mutual funds charge fairly from the customers. Here 4 of the respondents strongly disagree with the statement, 5 of the respondents disagree with the statement, 6 of the respondents were neutral, 9 of the respondents were agree with the statement and 6 of them were strongly agree with the statement. Service quality of ICB Mutual Funds is good enough. Every customer wants good service and cooperative behaviour from the employees of the organization as well as good advice in the time of problem. It is very important for every organization serve its customers so that it create a loyal customer base who will repeatedly buy its products and carry a long time relationship with the company as well as work as a spoken person to promote the products of the company to peers, friends, relatives, etc. So it is very important for every organization to provide good service to the customers of its products. To figure out the service quality of ICB Mutual funds, I have designed the questionnaire in a way so that investors can give their opinion about the service level of ICB mutual funds. Most of the respondents agree with this statement and believe that ICB mutual funds have satisfactory service quality.6.66% of the respondents showed strongly disagreement, 16.66% of the respondents showed disagreement, 6.66% showed neutral opinion, 43.33% showed agreement and 26.66% of the respondents showed strong agreement with the statement. Customers are very price and quality sensitive; if they are satisfied they carry a long term relationship with the company and become loyal which help the company to achieve brand loyalty which also helps the other product line of the company. So, customer loyalty is very crucial to the company if they want to sustain in the competitive world and to maintain long term relationship with the loyal customers. Investors are always risk averse and want to invest in the safe capital market where the chance of getting money is high. People want high return with little risks. Here, I also conducted the survey to understand the brand value of ICB Mutual Funds and investors’ perception about the ICB mutual funds. Most of the customers exchange their views about this question and I found out that most of the investors said yes that means ICB mutual fund is free from risks because it sometimes gives up to 700% dividend to its investors which make it to occupy a distinctive position in the minds of customers. 50% of the respondents said yes to this question, whereas, 30% of the respondents said no to this questions and 20% of the respondents remained neutral in case of giving answers to this questions. As a Government organization, Investment Corporation of Bangladesh is doing is business profitably. Most of its subsided Department makes its operation smooth and bring reputation to the overall activities of ICB. ICB mutual funds are continuously contributing to the overall performance of the ICB where the loyalty base of customers is very high. People always care about the return on the invested money, and wants to invest in the less risky scheme where the probability of getting money back is high. ICB Mutual funds are giving higher dividend to its investors though the return on invested money is low. There was record of giving up to 700% dividend to the investors which make investors very loyal and make ICB able to create a long customer base that are continuously doing business with the ICB.I conducted the survey to figure out customers satisfaction regarding the dividend giving scheme of ICB Mutual Funds. Most of the respondents said yes to the questions that ICB Mutual Funds are giving higher dividend compared to other competitors who are offering same facilities to the investors. Customer is always right, if customer is wrong read the rule one again. So, here we find that customers are the main focusing point for any organization. If customers divorce the company then the company will nothing but a unprofitable business which may phase out anytime due to customers dissatisfaction. One of my survey questions was to know about the counselling facilities and employee friendliness of the company, whether ICB practice internal marketing or not. Here I tried to know whether ICB mutual fund provide poor advocacy to the investors or not and I found significant response from the respondents. The answers were mixed, some said yes whereas some said no. Here, we see that the respondents’ percentage to say yes to this statement is 43.33%, percentage of no is 36.66% and percentage of neutral or no comments is 20%. Which name of the following usually comes to your mind when you want to invest in the Mutual fund? People are very much conscious about the money they invest; they want a safe and secure investment organization where they can get the easy return and less fear of losing the invested money. People always compare to get more benefit and choice that organization which will give more return at less investment. To know the brand equity and loyalty of ICB mutual funds, I asked the respondents a question about which organization they prefer most in case of investing their money. Most of the respondents answered they prefer ICB Mutual Funds most because they feel secured here and large scale dividend scheme help them to take decision to invest in ICB Mutual Funds. 53.33% of the respondents said ICB Mutual Funds, 30% said AIMS and 16.66% said about the BSRS Mutual Funds. Which one from the below gets your top priority while you choosing ICB Mutual Fund? Table 23: Which one from the below gets your top priority while you choosing ICB Mutual Fund? People want to invest in the organization where they will get security, safety, reliability, response, higher dividend, credit facilities. Etc. But I wanted to know the supportive response of respondents about these variables so that I can measure the crucial factor that an organization should give most priority in case of developing strategic plan. Here we see that 11 respondents said that they chose ICB Mutual Fund because of trust, 15 respondents said that they chose ICB Mutual Funds because of Safety, 14 respondents said they chose because of Good amount of Dividend and 3 respondents said they do not give priority to these variables in case of choosing ICB Mutual Funds. What do you think about the performance of ICB in managing the dividend and portfolio? I asked question about the perception of customers about the performance of ICB in managing dividend and portfolio. The answers were mixed. Some of the respondents said strong and steady, some said weak and steady, some said strong and fast, and some said average. Table 24: What do you think about the performance of ICB in managing the dividend and portfolio? 23% of the respondents said strong and steady, 37% said weak and steady, 27% said strong and fast, 13% said average which indicate that the management of dividend of ICB is not that much effective because it is weak. Which kind of problem do you face regarding the payment of dividend? Here the answer choice of the respondents was also mixed and some of the respondents said both choice of the option. Some said that it is time consuming, some said lengthy process, and some said it as both time consuming and lengthy process. Table 25: Which kind of problem do you face regarding the payment of dividend? 30% of the respondents said that it is time consuming, 23.33% said this lengthy process, 36.66% said it as both time consuming and lengthy process and 10% of the respondents said none of these variables affect them in getting the payment of dividend. Do you think ICB Mutual Fund has a great contribution in building brand image of Investment Corporation of Bangladesh? It is the most burning questions of my survey questionnaires because this question is related to the aims of my report. I tried to figure out what actually people think of ICB Mutual Funds in contribution to the building of brand image of investment Corporation of Bangladesh. As this was open ended question so respondents were highly encouraged to answer what they actually think about the Contribution of ICB Mutual Funds in creating brand image of Investment Corporation of Bangladesh. 63.33% of the respondents think that ICB Mutual Funds have a great contribution in building brand image of Investment Corporation of Bangladesh, 23.33% don’t think ICB is contribution to the building of brand image of ICB, 13.33% of the respondents do not comment about this issue because actually they are confused about the contribution of ICB Mutual Funds in building brand image of ICB. ICB is a unique name in our country as an investment Bank. It has skill and experienced labour force and professional and dedicated management team that enable to pursue the ICB’s goal and objectives. ICB mutual funds are continuously helping in building brand value and loyal customer base for ICB. ICB Mutual Funds provide its investors dividend which is much better than other competitive mutual fund company. ICB Mutual funds play an important role for gaining investor’s confidence and building long term relationship with the company. It plays a vital role in building investors trust and positive attitude on the capital market. ICB mutual funds provide trust, safety, dividend, reliability, flexibility, quick response to customer’s feedback, interest of the investors, good employee-investors relationship, market situation, credit facilities, etc. Which help ICB to build brand equity and increase overall brand image of ICB to the investors. ICB Mutual funds are concern about its investors because the investors are the ultimate risk takers. ICB mutual funds have a great influence on capital market. Reputation of ICB Mutual Funds increases the reputation of ICB which ultimately uphold the flag of our economy in the world market. ICB Mutual Funds contribute to the industrial growth of our country as well as the development and stabilization of the capital market of our country. There remains a huge gap between institution investors and general investors. Institution investors are far ahead from the general investors in respect of technical know-how, knowledge and risk taking propensity. ICB as an institutional investor manages its portfolio by doing three major activities: asset allocation, weighting shift across major asset classes and securities selection within asset classes. In financial terms it means ensuring maximum return with minimum level of risk. ICB Mutual funds help ICB to become the institutional investors because here the invested money of ICB are holistically invested to the capital market and return on which is very high which ultimately satisfy the investors and help in creating loyal customers base. In conclusion, we can say that ICB Mutual funds are helping in the overall branding of Investment Corporation of Bangladesh. Dividend policy should be fair so that the investors may be satisfied .Dividend policy should be earnings basis, not year basis. ICB mutual funds should introduce online transaction facilities so that investors can make transaction by sitting anywhere around the world. ICB Mutual Funds should reduce service charge of the account holders. Investing in costly borrowing funds should be reduced. ICB should create customers database and continuously informing the investors about the available facilities or opportunities which will work to achieve twin goal at a time; one is direct marketing and another is large pool of customers database. ICB mutual funds can take project to make this living planet sustainable like tree plantation project. Should increase the benefits of the employees because employee satisfaction is directly related with the customer satisfaction. Annual Report of Investment Corporation of Bangladesh (1CB) 2010-2011. Annual Report of Investment Corporation of Bangladesh (ICB) 2011-2012. Annual Report of Investment Corporation of Bangladesh (ICB) Mutual Funds 2010- 2011. Bryman A. and Bell E.,m (2007), “Business Research Methods”, 2nd Edn, New York : Oxford University Press. Easterby-Smith M., Richard T. and Andy L.,(1991), “Management Research:An Introduction”, London : Sage Publications Ltd.
Gustafsson, A., Johnson, M., and Roos, I. (2005), “The effects of customer satisfaction, relationship commitment dimensions, and triggers on customer retention”, Journal of Marketing, Vol. 69, No. (4), pp. 210-218. Hayday, S., (2003), “Staff Commitment is the Key to an Improved Performance,” Personnel Today, Vol. 1, pp. 29-35. Horible, F.(2009), “Managing knowledge workers: new skills and attitudes to unlock the intellectual capital in your organization”, London: John Wiley and Sons. Knonberg, I. (2011), “Customer satisfaction on cruise ships”, Franfurt: GRIN Verlag. Lee-Ross, D. (2005). “Perceived job characteristics and internal work Motivation: an exploratory cross-cultural analysis of the motivational antecedents of hotel workers in Mauritius and Australia”, Journal of Management Development, Vol. 24, No. (3), pp. 253-266. Reichheld, F.F. and Sasser, W. E. (1990), “Zero Defections: Quality Comes to Services”, Harvard Business Review, pp. 105-111. Saunders M., Lewis P. and Thornhill A.,(2009), “Research Methods for Business Students”, Pearson Education ltd.,5th Edition, Great Britain. Sharma, R., and Jyoti, J. (2009), “Job satisfaction of university teachers: An empirical study”. Journal of Services Research, Vol. 9, No. (2), pp. 77-79. Silva, P. (2006), “Effects of disposition on hospitality employee job satisfaction and commitment”, International Journal of Contemporary Hospitality Management, Vol. (18), No. 4, pp. 317-328. Skogland, I., and Siguaw, J. A. (2004), “Are you satisfied customers loyal?” Cornell Hotel and Restaurant Administration, Vol. 45, No. (3), pp. 221-234. Stern, S., (2003), “Is Job Satisfaction a Good Measure of Staff Effectiveness?” Human Resources, pp. 22-27. Storbacka, K., Standvik, T. and Gronroos (1994), “Managing Customer Relationships for Profit: The Dynamics of Relationship Quality”, International Journal of Service Industry Management, Vol. 5 No. 5, 1994, pp. 21-38. Topolosky, P. S. (2000), “Linking employee satisfaction to business results”, London: Tylor & Francis. Ugboro, I. O. and Obeng, K. (2000), “Top management leadership, employee empowerment, job satisfaction, and customer satisfaction in TQM organizations: an empirical study”, Journal of Quality Management, Vol. 5, pp. 247-272. Voordt, V. D. and Theo, J.M., (2004). “Productivity and employee satisfaction in flexible workplaces”, Journal of Corporate Real Estate, Vol. 6, No. (2), pp. 133 – 148. Vora, M. K. (2004). “Creating employee value in a global economy through participation, motivation, and development”, Total Quality Management and Business Excellence, Vol. 15, No. (5/6), pp. 793-806. Wansoo, K. (2009), “Customers’ responses to customer orientation of service employees in full-Service restaurants: A relational benefits perspective”, Journal of Quality Assurance in Hospitality & Tourism, Vol. 10, No. (3), pp. 153-174. Yee, R. W. Y., Yeung, A. C. L. and Cheng, T. C. E. (2008), “The impact of employee satisfaction on quality and profitability in high-contact service industries”, Journal of Operations Management, Vol. 26, pp. 651–668. Yu, C., Lei-Yu, W., Yu-Ching, C., and Tai, H. (2005), “Perceived quality, customer satisfaction, and customer loyalty: the case of lexus in Taiwan”, Total Quality Management & Business Excellence, Vol. 16, No. (6), pp. 707-719. Report on Banking System of IFIC Bank Limited.